Did you know Carolina Fuels offers AC Replacement in Reidsville & Eden? To repair or replace? How do you know when it’s time to stop repairing your air conditioner and replace it with a new one? The best way to decide is to call a professional repair company. Trained technicians can diagnose your system and suggest the best course of action. But there are a few things you can look for that may mean your air conditioner needs to be replaced. One thing to consider is the age of your system. Air conditioners can last for 15 or 20 years, but if your unit is more than 10 years old, you may want to consider replacement. Older systems are not as efficient as newer systems are. A newer, more efficient system uses less energy and will save you money. Another consideration with the age of your air conditioner is the type of refrigerant it uses. Older systems use Freon, which is being phased out by the federal government and being replaced by a new type of refrigerant that is more energy efficient. Eventually all air conditioners will use the new refrigerant and Freon will not be available for refilling old systems. If your home is not cooling consistently, it may be time to replace your air conditioner in Reidsville, NC. You may find that some rooms are cool and others are not. It may seem that it takes too long for your home to cool down to the desired temperature. It may also seem that your system is running constantly to keep your home cool, which is a sign that your system is not working properly. And constant running will cause your system to wear out faster, making replacement inevitable. Another sign that your air conditioner may be on its last legs is excessive noise. If your system is making more noise than usual, it is usually a sign that there are problems such as disconnected parts or a worn out motor. These things may be able to be repaired, but sometimes the cost of repairs is more than the cost of a new system. If your air conditioner needs repairs often, the cost will add up and you may find that you will save more money in the long run by replacing your system. A professional can help you to make this decision by evaluating the condition of your system. Sometimes the problem is not with the performance of your air conditioner, but with the size. If the air conditioner is too small for the size of your home, it will not be able to do its job. Air conditioners are matched to homes based on the square footage that needs to be cooled. An air conditioner that is too small will not be able to keep your home at the desired temperature. Some rooms may be cooler than others and you may find that the humidity level is too high. 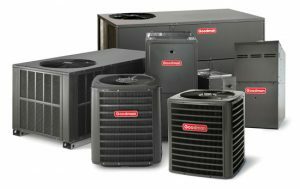 If your air conditioner is too small for your home, consider upgrading to a bigger system. If you need a technician to evaluate your air conditioner, Carolina Fuels is available in Eden and Reidsville. Trained technicians can repair or replace your system 24 hours a day. Call 336-623-9741 or visit our website: www.berico.com.